On the 17th March 1746, a Jacobite force under the command of Lord George Murray began the siege of Blair Castle in Blair Atholl, Perthshire. 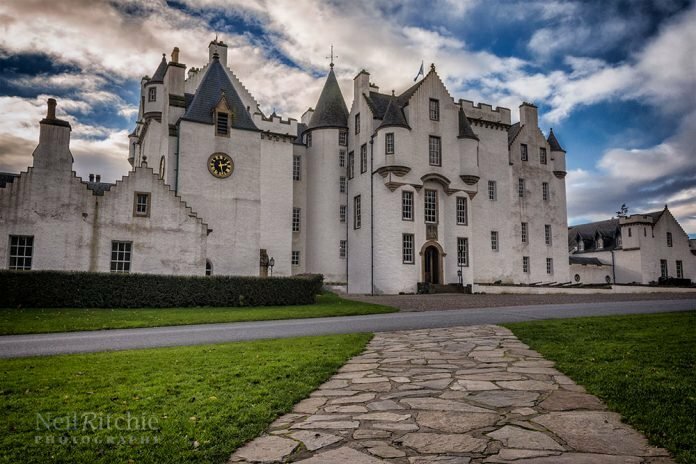 Blair Castle was the home of Lord George’s pro-government brother, James Murray, 2nd Duke of Atholl and the chief of Clan Murray. The castle was held by the Royal Scots Fusiliers. 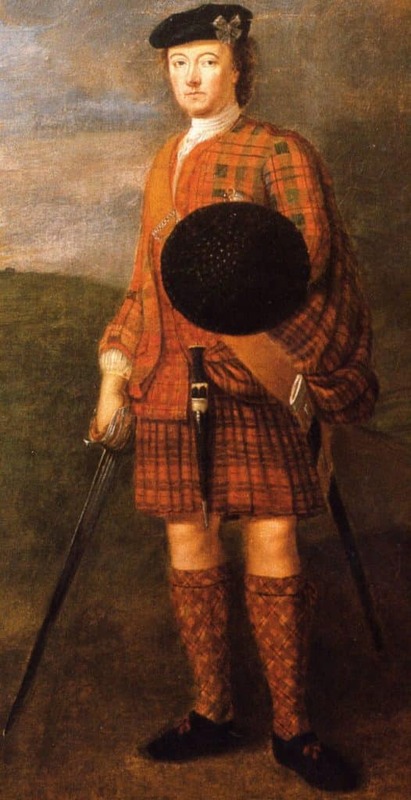 After fighting for the Stuart cause in the failed Jacobite Rising of 1715, William Murray, Marquess of Tullibardine, was excluded from the succession to the Dukedom of Atholl, which, on the death of his father, passed to his younger brother, James Murray, who became the 2nd Duke of Atholl. William also took part in another failed Jacobite attempt in 1719. After exile in France, and in a bid to reclaim his land and titles, William returned to Scotland with Charles Edward Stuart and raised the Athollmen in the Jacobite Rising of 1745. These men formed the bulk of the Atholl Brigade, which would be commanded by William’s brother, Lord George Murray. Lord George had also fought for the Stuarts in the 1715 and 1719 risings. He was initially hesitant in joining the 1745 rising but eventually opted to join, becoming Lieutenant-General of Charles’ Jacobite army. Despite lukewarm support for Charles in Scotland, the Jacobite military campaign began successfully with the outmaneuvering of Government forces led by Lieutenant-General Sir John Cope in the Highlands, the capture of Edinburgh and then victory over Cope’s army at the Battle of Prestonpans on 21st September 1745. Following this, the Jacobites then moved into England with the intention of capturing London, removing the Hanoverian George II and returning the House of Stuart to the throne of Great Britain. However, with a lack of support in England, promised French assistance not materialising and with Government forces moving against them, the decision was taken at Derby to withdraw back to Scotland. The last major Jacobite success came on 17th February 1746 when they defeated a Government army led by Lieutenant-General Henry Hawley at the Battle of Falkirk, however, the Jacobites failed to take advantage. Following the Battle of Falkirk and the unsuccessful siege of Stirling Castle, Charles and his Jacobite forces continued their retreat northwards, towards Inverness, pursued by Government forces led by George II’s son, William Augustus, Duke of Cumberland. On the 2nd February, they held a council of war in the Drummond Arms Hotel in the town of Crieff. The majority of the Jacobite leadership (Lord George Murray among them) were in favour of continuing the retreat. The Jacobite army was then split for the march north, with Lord George taking the Lowlanders via Perth, Dundee, Montrose and Aberdeen, and Charles with the Highlanders and artillery taking the road via Dunkeld, Blair Castle, Ruthven and Moy. This was a much easier route for the artillery as most of the way was along General Wade’s military road, ironically built to help pacify the Highlands. On the 6th February, Charles and his troops marched through the Pass of Killiecrankie and arrived at Blair Castle. This was Charles’ second visit to Blair Castle, the first being in September the previous year at the start of the rising when James Murray, 2nd Duke of Atholl, had fled, abandoning Blair to the Jacobites. Charles would stay at Blair Castle until the 10th when he and his men continued on towards Inverness. On the 17th February, while Charles was staying at Moy Hall, just eight miles from Inverness, Government Highlanders attempted and failed to capture him. The event became known as the ‘Rout of Moy’. By the end of February, most of the Jacobite forces had arrived in Inverness. Upon his arrival at Perth on the 6th February, the Duke of Cumberland sent out infantry and cavalry detachments with the aim of securing Atholl. Cumberland ordered the battle-hardened Lieutenant-Colonel Sir Andrew Agnew of Lochnaw with his 500 Royal Scots Fusiliers and 150 Argyll Militia to march through the Pass of Killiecrankie and secure the strategically important Blair Castle, near the north end of the pass. The castle was now lying empty following the Jacobite departure. In 1689, the race to secure Blair Castle had resulted in the first major battle of the first Jacobite Rising, the Battle of Killiecrankie. Before leaving for Aberdeen with the main Government army, Cumberland also deployed a detachment of infantry to Castle Menzies where they could secure and guard the vital ‘Wade’s Bridge’ crossing on the River Tay at Aberfeldy. A regiment of dragoons along with two regiments of Hessian mercenaries under the command of Major-General John Lindsay, Earl of Crawford, and Prince Friedrich of Hesse were left behind at Perth to guard against any Jacobite attempt to break out into the Lowlands and also reinforce Government positions in Atholl if necessary. In early March the main Jacobite army was now based at Inverness and the bulk of the Government forces under Cumberland were on the east coast at Aberdeen. Although he had strongly supported the retreat, Lord George Murray was now thinking of opening the way back into the Lowlands. He saw an opportunity to quickly strike south into Atholl, targeting isolated Government outposts and preparing the ground for a larger move south. Lord George also had the intention of capturing his ancestral home of Blair Castle, now occupied by Lieutenant-Colonel Agnew and his Royal Scots Fusiliers. 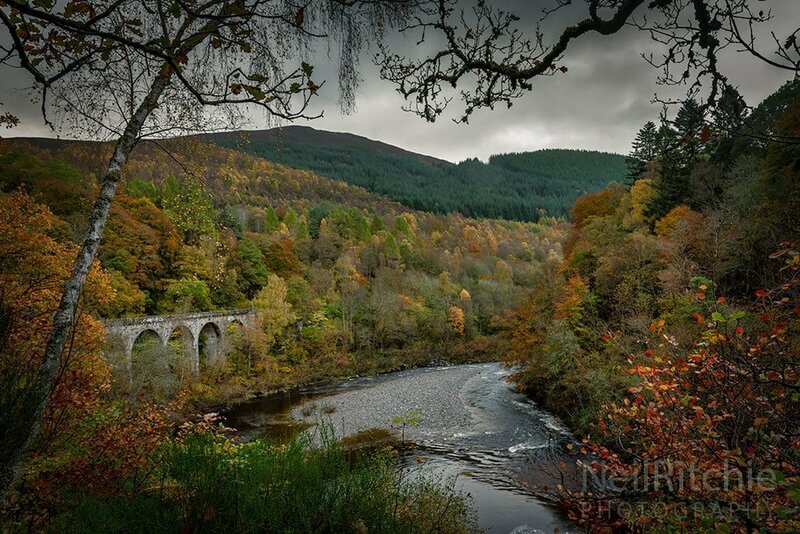 Agnew had sent out detachments of his Fusiliers along with the Campbell Militia to guard strategic points in the surrounding area, most notably the northern end of the Pass of Killiecrankie, the Bridge of Bruar, the Bridge of Tilt and the House of Lude. Agnew’s strength at Blair Castle was roughly 300 men with another 300 manning the various posts in the vicinity. His officers had begun to frequent the Blair Inn near the castle, in the village now known as Old Blair. Molly, the attractive daughter of the innkeeper, was likely one of the reasons for their regular visits. A soldier of the Royal Scots Fusiliers c.1746. Lord George Murray with his Atholl Brigade and a couple of light cannons left Inverness around the 14th March and quickly captured Castle Grant before moving on to Ruthven on the 16th, where Lord George was reinforced with around 300 Macphersons, led by Cluny Macpherson. The combined force now numbering around 700 moved to Dalnaspidal where they split into smaller detachments, with each one given a specific Government outpost to attack. In the March 1746 edition of the Scots Magazine it reported that ‘a corps of the rebels consisted of Macphersons, Macintoshes, and some Athollmen, in all about 700, under the command of Lord George Murray. They marched from Ruthven only on the 16th. 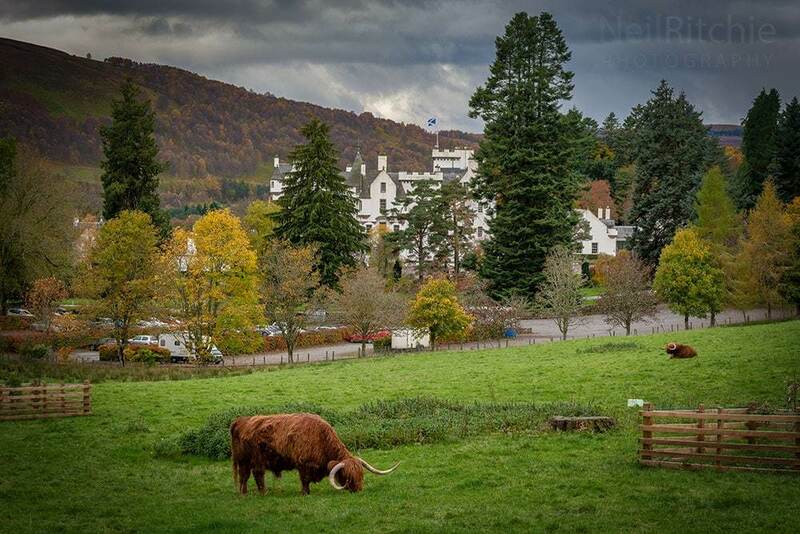 At Dalnaspidal small parties were detached… and Ld George with the main body marched directly for Blair.’ In the early hours of the 17th, the Jacobites secured the north end of the Pass of Killiecrankie and captured the Government outposts surrounding Blair Castle. Government positions at Bun Rannoch and the Bridge of Tummel which were held by the Earl of Loudoun’s 64th Highlanders were also taken. Most of the outposts were captured without a single shot being fired and around 300 prisoners were taken. Jacobite outposts were established at the other end of the pass at Pitlochry and also at Dunkeld, to warn of approaching Government troops from Perth. Published in 1852, Thomas Wright’s The History of Scotland states that, ‘A party of soldiers from Blair were at Lude, and their officers in Blair inn when the former were surprised and captured; but the officers with great difficulty succeeded in making their retreat into the castle. Sir Andrew Agnew, the governor of Blair Castle, immediately sallied forth, and surprised his enemies, and Lord George Murray would have been taken but for his extraordinary presence of mind.’ Regarding the surprise attack on his outposts, Agnew would later complain bitterly in a letter to the Duke of Cumberland’s secretary, Sir Everard Fawkener, in which he stated, ‘this was done before I had information that the rebels were come to attack me, which is a plain demonstration what a villainous country this is’. By midday on the 17th, Lord George Murray had set up his headquarters at the Blair Inn and deployed his two cannons, a 4-pounder and a 3-pounder, in the nearby churchyard of St Bride’s Kirk, overlooking the castle. 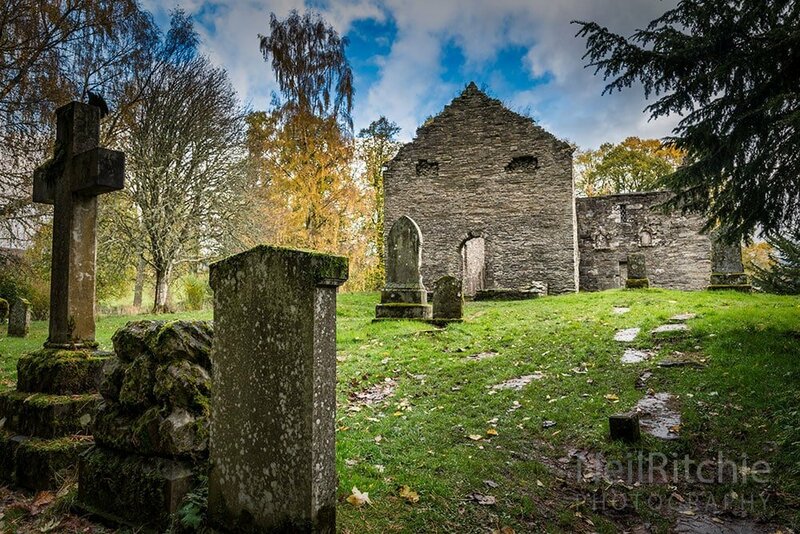 St Bride’s is the final resting place of Jacobite leader John Graham of Claverhouse, who was killed at the Battle of Killiecrankie. Since no Jacobite was brave enough to approach the castle, Molly, the innkeeper’s daughter who knew some of the Government officers, was sent to the castle with demands for the garrison to surrender, written on ‘a very shabby piece of paper.’ The demands for surrender were rejected by a furious Lieutenant-Colonel Agnew who threatened to shoot the next messenger that Lord George Murray sent. An officer supposedly said to Molly that it wouldn’t be long before the Jacobites were driven away and that they would be back drinking at her father’s inn. Agnew prepared the castle for a siege. Conditions inside the castle were grim. An account of the situation by an officer was published in A Journey Through Part of England and Scotland: “The first week of our stay here we had a hard frost, with much snow, then came on a great thaw and wind; immediately after that came a frost again; these sudden changes, and cold windy weather (and by reason of keeping our men so closely confined in Blair Castle), breathing in the most nasty scents, which arise from one and the other lying upon straw, almost brought a pestilence among them.” With a lack of firewood, the soldiers were forced to strip wood from parts of the castle to burn. There was panic among the garrison when noises were heard coming from the cellar, and it was initially thought to be the Jacobites mining under the castle, however, it turned out to be a soldier chopping up wood. The siege dragged on. The siege of Blair Castle was the last time a castle was placed under siege in Britain. It could be argued that if Lord George Murray had received reinforcements from Inverness he may have succeeded in driving back the Government forces coming from Perth to relieve the siege of Blair Castle. If the siege had continued for a few more days it may have forced the surrender as the garrison was dangerously short on food. However, it is difficult to see a man like the formidable Lieutenant-Colonel Agnew, veteran of Dettingen and Fontenoy, giving up without a fight, and it would have been more likely that he would decide to sally forth and fight his way out. Lord George later claimed that he asked Charles Edward Stuart to send 1000 men so that he could inflict a defeat on the Government troops under Crawford and the Prince of Hesse. It’s possible that if this had happened, the Duke of Cumberland would have been forced to retreat from Aberdeen. It could also be argued that the Atholl campaign was a drain on resources that were desperately needed elsewhere, most notably the defence of the River Spey where Cumberland’s forces moving towards Inverness would have to cross. At the final defeat of the Jacobites at the Battle of Culloden, the Royal Scots Fusiliers were placed on Cumberland’s frontline, and Lord George Murray’s Atholl Brigade held the Jacobite right flank.